Brick Home with Fireplace in Mobile’s Chad Estates Subdivision! What’s not to love about this Brick Home with Fireplace in Mobile’s Chad Estates Subdivision? 4798 Megan Court is the perfect mix of size and price. 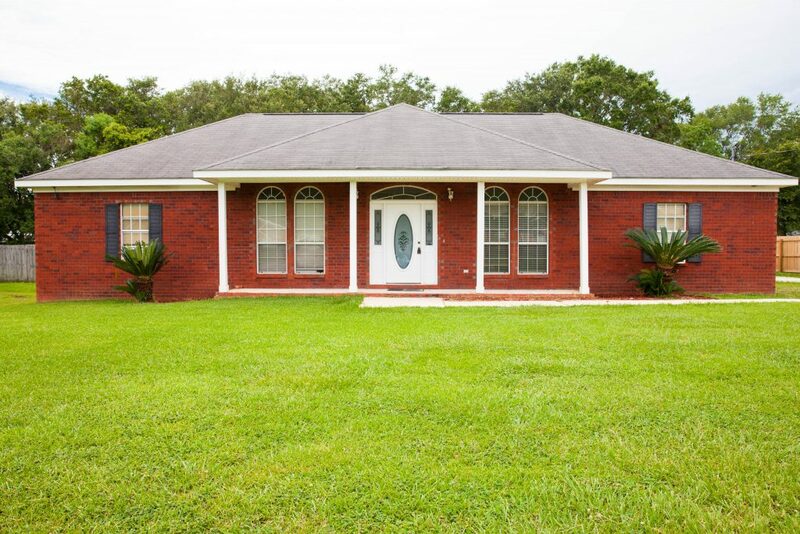 This 4 bedroom/2 bath home is located in the beautiful Chad Estates Subdivision. You will love life in this low traffic cul-de-sac. The home has plenty of square feet (1862) and is equipped with a new AC. This beautiful brick ranch was built by the current owners in 2005 and they are ready to pass this amazing deal to you. You will enjoy winters nights in front of the fireplace in the good-sized living room. The kitchen offers a great eat-in area. The master bedroom is separated from the rest of the home and has great storage and generous-sized bathroom. The other rooms will not disappoint and are great mix of size and storage. The split floor plan offers privacy and functionality. The outside is highlighted by a pool and a great-sized yard. The location of the home is one of its best features as Dawes Rd will allow navigation to major shopping. The convenience is too much to resist and the schools are some of the best! Tour this Brick Home with Fireplace in Mobile’s Chad Estates Subdivision with the Jason Will Real Estate Team 251-866-6464! Listing information © 2019 Baldwin County Association of REALTORS® MLS. IDX information is provided exclusively for consumers' personal, non-commercial use and may not be used for any purpose other than to identify prospective properties consumers may be interested in purchasing. Data is deemed reliable but is not guaranteed accurate by the MLS or Jason Will Real Estate. Data last updated 2019-04-20T11:27:40.35.